After 30K miles, my headlights still look crystal clear, but my foglights look like crap; very hazy lenses. I assume because they are close to the ground they catch a lot of road dirt. Has anyone tried to clean or buff them out? If it's really dirt, it should clean off with soap. If it's pitted with rock impacts, they might polish up with a headlight cleaner and fine sandpaper. 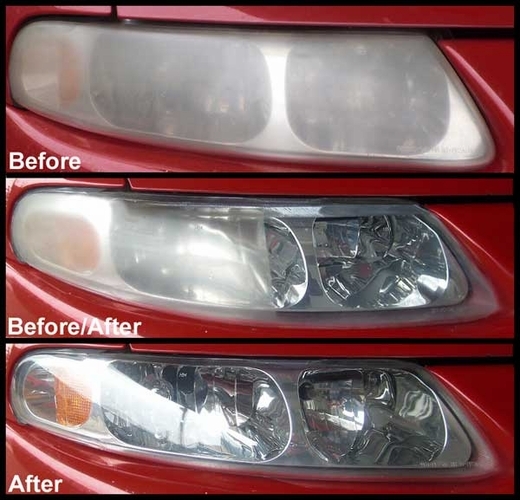 If, on the other hand, it's a plastic lens that's gone hazy with UV light, the cure is in the past- you ought to have waxed them several times a year, with the rest of the car. I doubt that would happen in one year in a west coast climate, though. I haven't had a chance to use my "fog lights" in real fog yet, but I've found another use. They're great for dark roads where pedestrians might be present, because the beam pattern is much wider than the headlights. It's not dirt, at least not on the outside. It doesn't look like pits either, it's more hazy. I'm guessing they are hazy on the inside. I've had this occur with some lights on other cars before and it's easy to clean up if you can get the assembly out of the car. I have not tried to remove them yet. I know it's not UV damage because the car sits facing north against a wall both at home and at work when parked. Edited by MaxLB, 15 January 2018 - 05:32 PM.